dining tables. The dynamo and storage cells for generating the current ae hung from the underframe between the two bogie trucks. The vestibules are well lighted by placing the lamps in the centre of a large dome enamelled white. 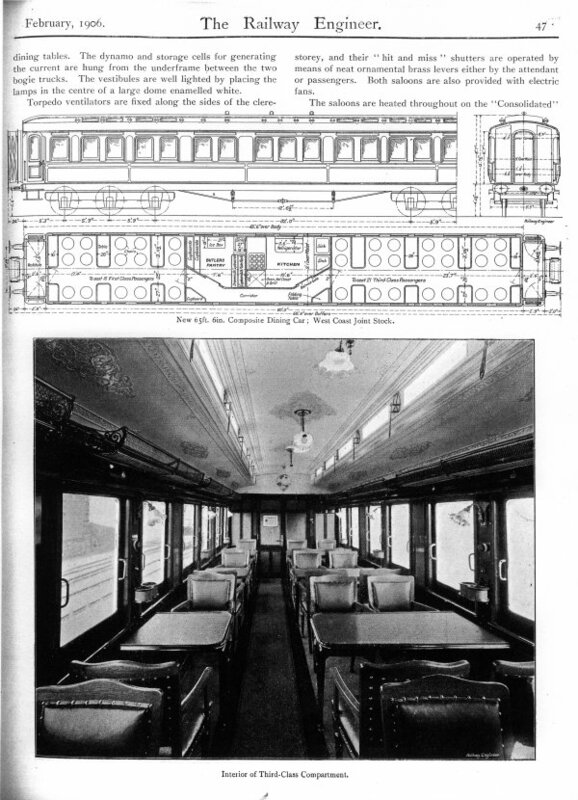 Torpedo ventilators are fixed along the sides of the clerestorey, and their “hit and miss” shutters are operated by means of neat ornamental brass levers either by the attendant or passengers. Both saloons are also provided with electric fans. Droplight, our magazine posted to members.